Calculating back time is an issue that slows down many a plea bargain. It’s not as simple as just adding up the days you were in jail. There are issues of when the warrant was issued, figuring out all the different jails you may have been in, getting those agencies to respond, and finally giving any “good time” credit the local sheriff may afford. In Kaufman County the District Attorney’s office will calculate the back for us, which is nice. In Dallas you can allegedly use their DHARMA initiative DOS computer (JI 55) to do this, but I avoid those like the plague (or like the MRSA infection that lives on those keyboards). So if you are sitting in the county jail and looking at a plea bargain for pen time or county time how can you figure out your back time? Not by using this blog post, since I don’t know a single county jail with internet access, but I digress. First, it depends on what kind of case you are pleading guilty to. Misdemeanor sentences are eligible for good time credit provided by the Sheriff towards any sentence. For example, in Rockwall you get 2 for 1 credit on misdemeanors. So if you get a 30 days sentence for your DWI you are out in 15. Kaufman County is day-for-day, which is nuts and serves no real purpose beyond keeping poor people in jail longer and costing local taxpayers to lock up DWI and POM offenders. 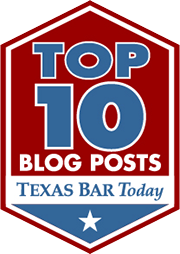 What’s the law on Failure To Appear in Texas? Good question. One of the ways our criminal justice system extorts guilty pleas out of defendants is by wasting their time. The biggest time waste in the criminal justice system is requiring Defendants to show up at every court setting. It’s most ridiculous is misdemeanor cases and it’s a huge loss of productivity since most defendants are missing many days of work just to show up for their pot case. It’s not unusual for Defendants to be fired for going to court. The situation varies by county, in Dallas county your lawyer can show up for most misdemeanor settings. In Kaufman County the Defendant has to appear at every setting, with one exception. About once or twice a month we will get a client who needs to move a court date and can’t make it. This is always a dangerous proposal and we advise them that it’s up to the judge to allow a case to be reset sans appearance. If a client chooses to just not show up and we haven’t worked it out with the court, then the Defendant can be charged with failure to appear. What is failure to appear in Texas? In Dallas, a lot of things are possible that don’t happen in other counties. One of those things, is that it is possible to clear a warrant without the time wasting bookin process at the county jail. It’s an efficiency move that recognizes how useless it is to waste time making pot defendants sit in the county jail for hours. Good move Dallas County. First, you need a defense lawyer. That defense lawyer must get a judge to set a bond and approve your book in waiver. If you are charged with murder, this probably won’t happen, if you are charged with the “crime” of possessing pot, then you’ve got a chance. Most criminal defendants never planned on getting arrested. But if you are a forward looking recreational drug user or retailer, It may help to know how much bail money you need to set aside when LEO shows up. I’ve attached a copy of the Dallas County recommended bond schedule to help you plan ahead.